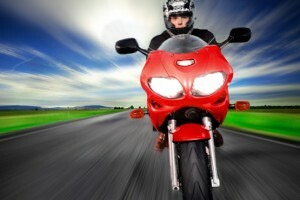 Motorcycle Learner Permits and Licences can be a little confusing if you’re new to them. Before you can ride a Motorcycle on the road the Rider and Motorcycle (& Moped/Scooter) must comply with certain legal requirements. First of all you’ll need to get a Learner Permit. How to get a learner permit? You must first complete the Motorcycle Driver Theory Test for the Licence category you require and then apply for a learner permit. 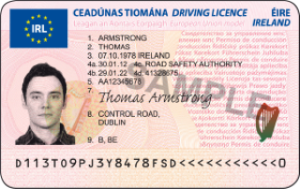 From 25 October 2013 Motor Tax Offices will stop accepting new applications for Driving Licences and Learner Permits. They wont be open to the public in the weeks after 25/10/2013 and they will clear any existing backlogs. From 29/10/2013 all renewals and new licences applications will have to visit a NDLS Office to have a photo and signature taken. This needs to be done only once as subsequent transactions can use the existing photo and signature and phone or postal contact to the NDLS Back Office will suffice. Please see our IBT Courses for full details. Category Am – Mopeds/Scooters – engine capacity not exceeding 49cc and maximum speed of 45kph. Minimum driving age: 16 years old. Category A1 – Motorcycles with an engine capacity not exceeding 125cc and with a power rating not exceeding 11kW with or without sidecar. Minimum driving age: 16 years old. Category A2 – Motorcycle less than 35kW, a power/weight ratio not greater than 0.2kW/kg and not derived from a vehicle more than double its power. min age 18 years old. 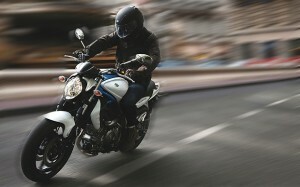 Category A – all Motorcycles including those greater than 50kW. Min age 20 having held A2 for 2 years or 24 years of age Direct access. You must display the ‘tax disc’ on the Motorbike. The fee varies with engine size. Motor Tax for Motorcycles in comparison to cars tax is inexpensive. At the time of writing this the maximum was €82 annually. Third party is the cheapest and legal minimum type of insurance cover. The ‘third party’ is any person you might injure or property you might damage. YOU are not covered for injury to yourself or damage to your Motorcycle. Third party fire and theft is the same as third party but it also covers you for your Motorcycle being stolen or damaged by fire. Comprehensive is the best, but most expensive insurance. Apart from covering other people and property from injury and damage this covers damage to your Motorbike if damaged in an accident. It also covers some personal injury to rider. Engine-size groups for insurance purposes can vary from one insurer to another so it pays to shop around. Exactly what is and what isn’t insured can also vary from company to company so read the small print and ask your insurer or broker. Sometimes a broker will give you a temporary certificate or ‘cover note’. This is issued while you’re waiting for your certificate and is proof of insurance. The policy document. This contains the full details of the contract between you and the insurance company. It’s usually written in legal language. Ask your broker or the insurance company to explain any details which you don’t understand.